By David Ponce on 11/24/16 • Leave a comment! 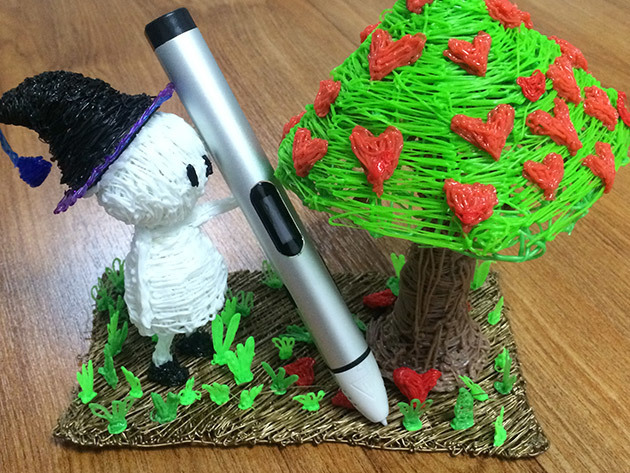 3D printer pens are cool because you can draw a 3D object in the air, with your hand. They work by heating up and melting a plastic filament, which almost instantly hardens as it exits the pen. 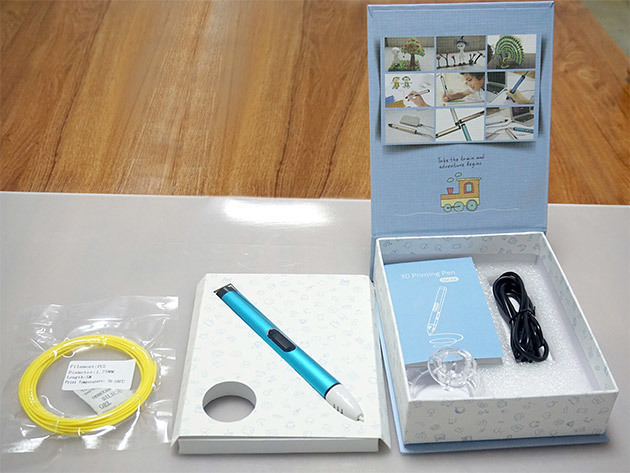 The Dewang X4 Low Temperature 3D Printer Pen has a temperature control setting, which would give you greeted control over your creations. 3D printing represents an exciting new frontier in many fields, from architecture to healthcare, and its uses are only growing. 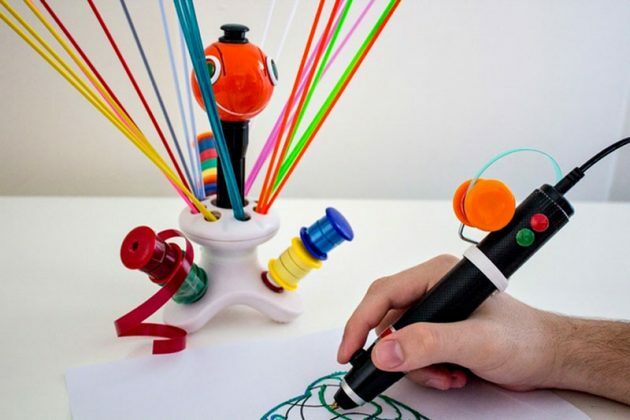 While a full-fledged 3D printer will set you back some thousands of dollars, these fun, productive pens allow you to create objects from nothing, simply by drawing. Normally $159, the Dewang X4 is $99 with today’s deal, shipped for free. By Petra-Andreea Gheroghiu on 11/01/16 • Leave a comment! A recording of your voice can easily be visualized in a computer with a waveform printout. You can say something cheesy like “I love you”, and you’ll see your voiceprint as a series of peaks and valleys representing the audio waves generated by your voice. 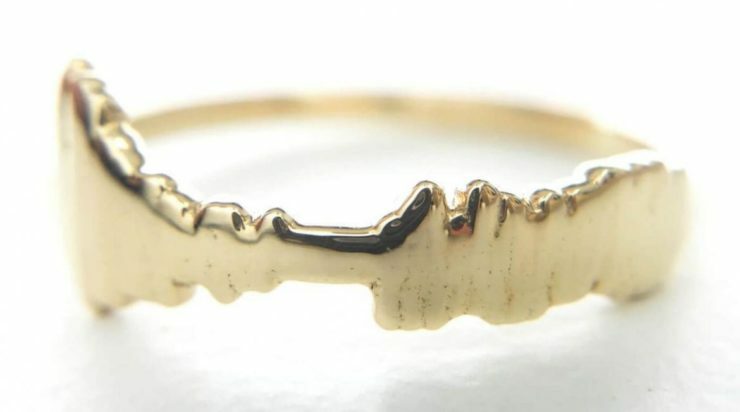 Now a company called Encore Ring can take this waveform and turn it into a ring for you. 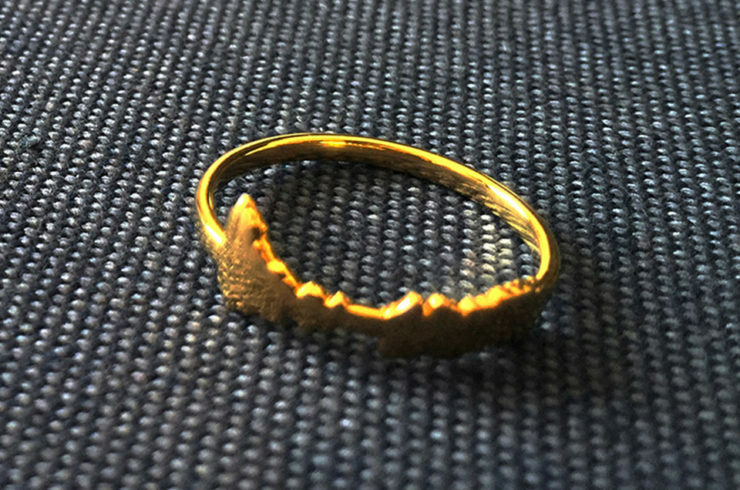 When you visit the company website, you’ll be prompted to record a 3 second message which they’ll visualize for you and will even convert into a 3D model of the ring you could decide to purchase. You simply have to choose which type of metal you want, and select a ring size. Prices start at ¥12,960 (roughly $124USD) for a stainless steel ring, and go all the way up to ¥129,600 ($1,235USD) for Platinum. It’s very similar to the Sound Advice Project we wrote about in 2009, and which proved to be a runaway success. Jewelry is great because it’s a blank canvas that allows you an infinite amount of ways to express yourself. 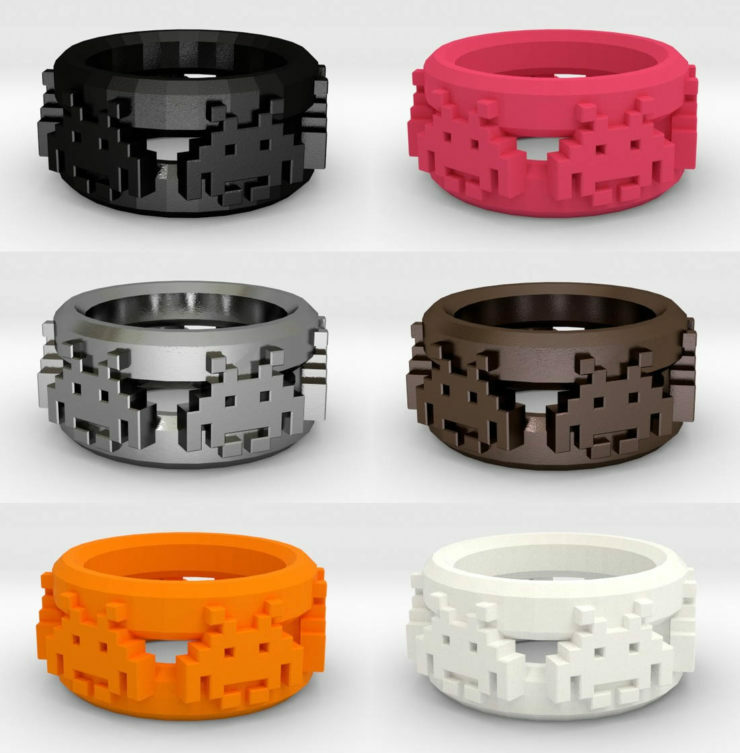 Most people will opt for some kind of bling, sticking to the old tradition that jewelry should be a display of financial comfort, but if you don’t care about that, these 3D printed Space Invader Rings could be right up your alley. 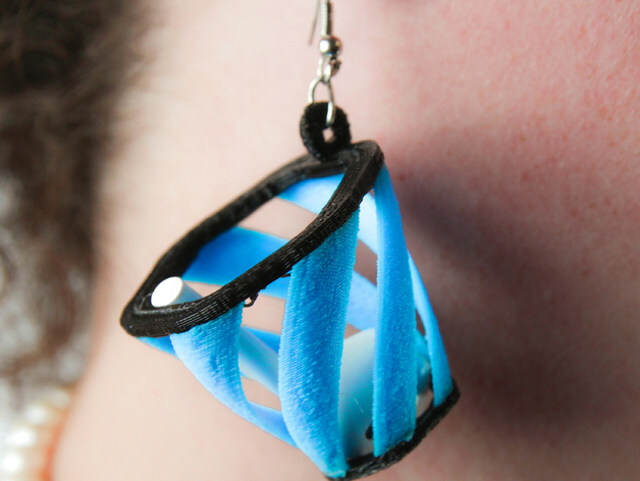 They’re made from plastic or silver, and cost anywhere between $15 and $99. Some metals include brass, bronze, steel, and silver, while plastic is plastic dammit. They’re available now. By David Ponce on 08/01/16 • Leave a comment! 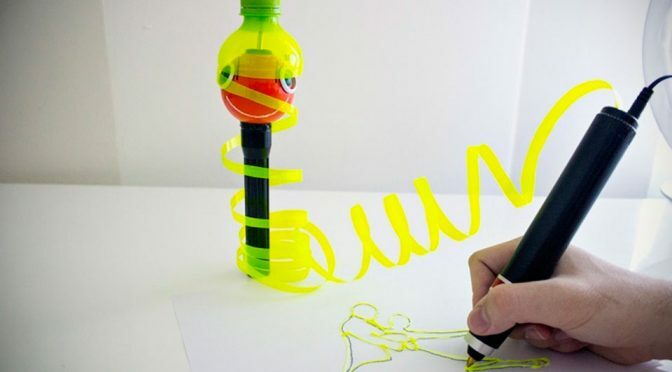 Some of you may remember the 3Doodler pen that allowed you to draw a real objet in thin air, in three dimensions, freehand. It extruded a melted plastic filament that instantly hardened, making it possible to draw complex structures. The Renegade Pen is just like that, but with one important twist: it prints 3D models by recycling your plastic bottles, files, and bags. Renegade is designed to accept strips cut from PET plastic bottles, plastic bags, or even plastic files and in sizes ranging from 5-7 mm and thickness of between 0.14-0.35mm. It can also use standard filaments, such as PLA, ABS, nylon, TPE, HIPS, wood et cetera, as long as they are of 1.75mm diameter. Bottles are easily turned into thin filaments using the ChupaCut plastic bottle shredder, filaments which are then fed to the Renegade Pen. You’re then free to set the feed speed and the extrusion temperature (between 50-320 degrees Celsius (122-608 Fahrenheit)), which will help you fine-tune the viscosity and fluid properties of the extruding plastic. It’s a cool idea, one that’s both eco-friendly and thrifty at the same time (those PLA refills aren’t cheap!). If you want your own, you’ll have to part with £60, or roughly $80USD, and wait until February 2017 for shipment. By David Ponce on 07/28/16 • Leave a comment! The Pokemon Go craze continues unabated, and while we could make all kinds of comments, we won’t. It is what it is, and for better or worse, there are tons of products being made to hitch a free ride on the bandwagon. 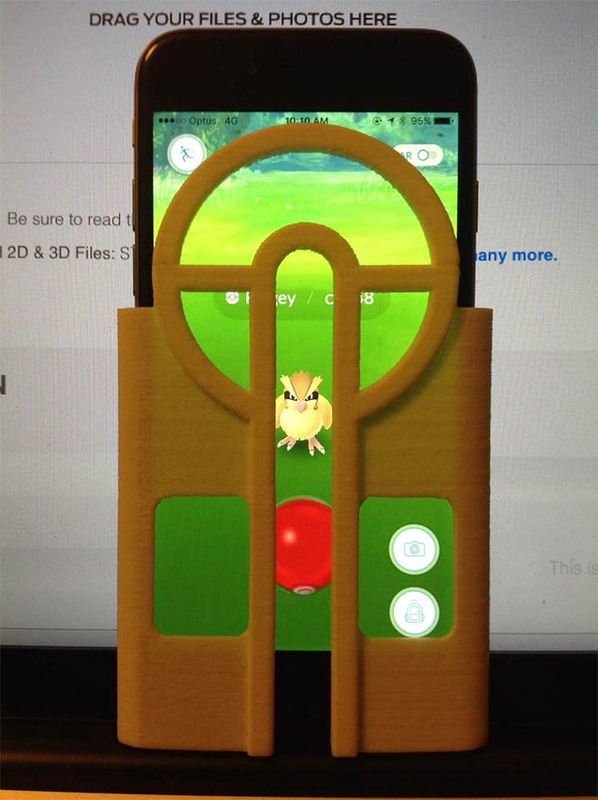 The iPhone case pictured above is a creation of one John Cleaver, and its only use in the world is to help you throw that Pokeball as straight as possible. Why? So you can… catch them all. Of course. 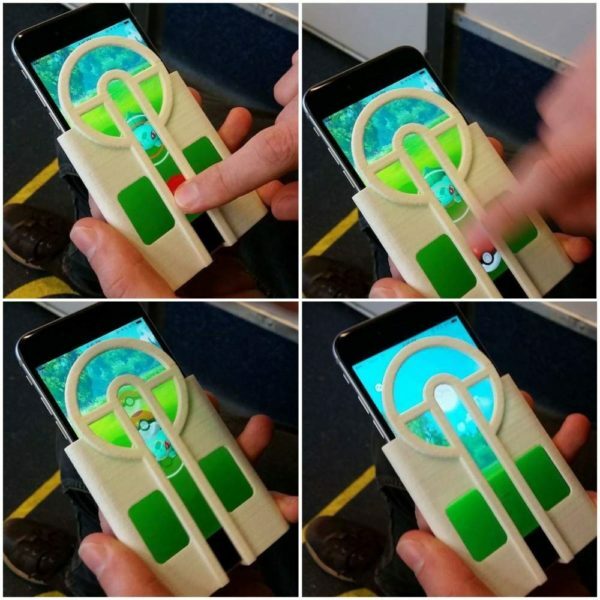 It’s a free download, but you’ll need your own 3D printer and iPhone 6. And given the fact it’s going viral and tons of people are asking John for cases that fit their phones, stay tuned for cases adapted to Samsung phones and more. By Natalie on 07/22/16 • Leave a comment! Pokemon Go has swept the world into a “Gotta Catch ‘Em All” frenzy during the last several weeks since its thundering debut. And while it’s sent intrepid fans out into the streets to hunt down errant Pikachus and Bulbasaurs, it has also been a huge drain on the battery life of all our phones. That’s where Sparkfun user Nick Poole comes in. Recognizing the weight that the app was putting on his phone – using its built-in GPS constantly, sucking up all his mobile data, and keeping his LCD display on at all hours as it constantly rendered a new map with new features – he has come to the world’s rescue. 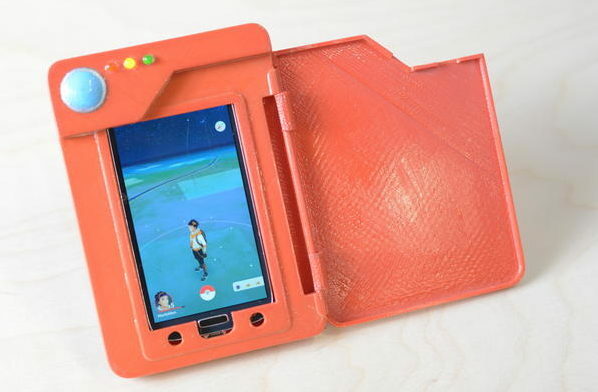 Using 3D printing technology, Poole developed a phone case modeled on the classic Kanto-era Pokedex. Bright red in color and featuring red, yellow, and green LED lights, the case is an absolute essential for any Pokemon trainer out there. By David Ponce on 06/21/16 • Leave a comment! 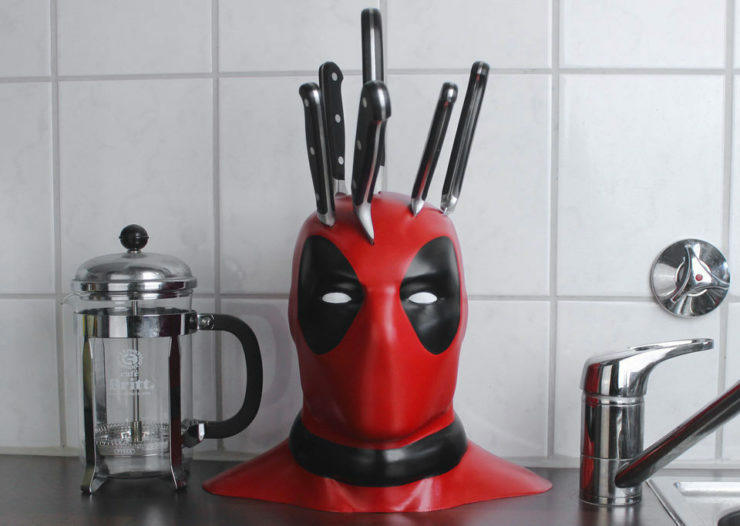 If ever there was an appropriate look for a knife block, it’s this one made in the likeness of Deadpool’s head. If you’ve watched the movie, we’re sure you’ll agree. 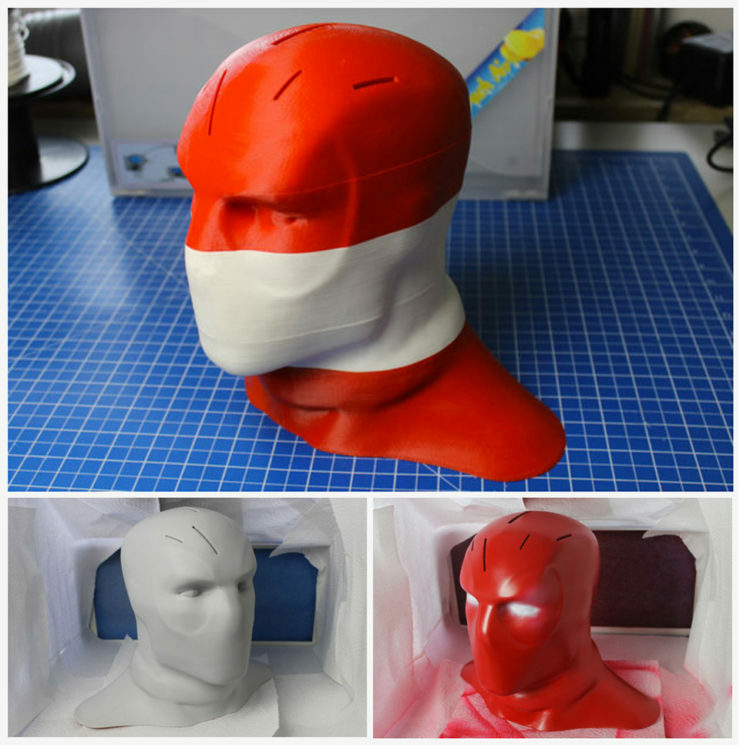 Reminiscent of the Vice Versa Knife Block we wrote about 11 years ago, the 3D printed bust does require some work on your part to come to life. Instructables contributor BrittLiv was kind enough to post her work files online, as well as detailed instructions on what to do after the piece is printed. Yes, it’s a DIY kind of thing and not something you can buy, but for those of you with a 3D printer just itching to find something cool to create, here’s your chance. By David Ponce on 02/23/16 • Leave a comment! 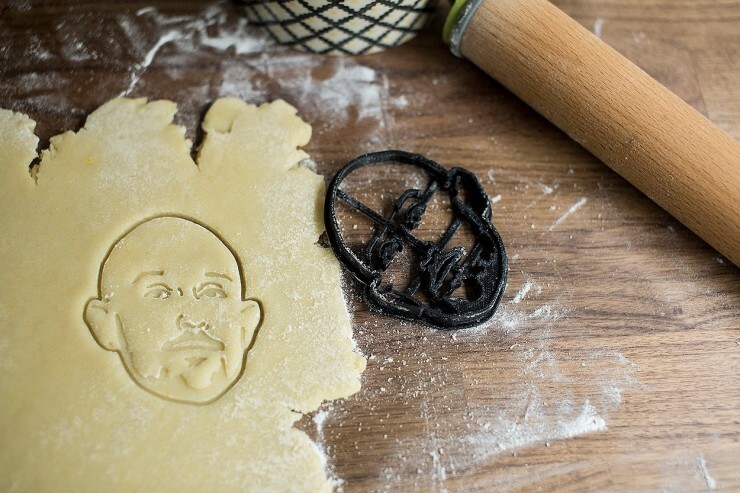 Etsy seller Kriszti Bozzai, who goes by the name Copypastry on the site, is selling cookie cutter stamps that are a little different than what you’ll find in the baking aisle in your local shop. You send her your picture, and she’ll hand-draw a caricature based on that. 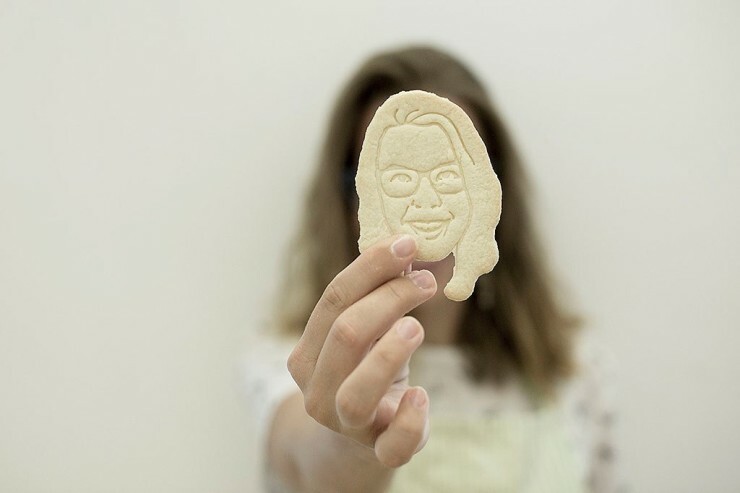 She’ll then pop it up in into the 3rd dimension, and print the resulting line art on her 3D printer to create a cookie cutter that makes cookies that bear your resemblance. Of course you’re not limited to a picture of you, it can be a logo, family portrait or almost anything else. It’s $50.